George Saville scored two late goals in the last ten minutes to rob the points for Millwall with a 2-1 victory over Reading at the New Den. Lowly Reading were desperately unfortunate to return to Berkshire empty handed as the evenings underdogs put up a cracking performance against a shell shocked Millwall and yet a header and a volley from Saville was enough to nick the goodies and propel Millwall further up the Championship table. Millwall are on a good run at the moment but this looked likely to come to a full stop as Reading gave as good as they got and can feel hard done by with this loss. Yet at long last Millwall have broken a 13 year hoodoo against the Royals with their first win in 13 matches in battle with them. You have to go back as far as 2004 when the Londoners last came up trumps against their rivals and yet when Dave Richards broke the deadlock for Reading after 73 minutes you could be forgiven for thinking that run would continue. However cometh the hour, cometh the man as George Saville notched a brace for Millwall in the same week he was called up to the Northern Ireland squad for the forthcoming World Cup matches against Norway and Germany. Michael O’Neill’s Northern Ireland side are already guaranteed a top-two finish in their group and will no doubt finish runners up to the mighty Germany. Saville was certainly on song as he headed home from Shaun Williams’ corner with 80 minutes on the clock and just five minutes after that the excellent Conor McLaughlin’s cross dropped to the midfielder on the 18 yard box and Saville met it with a first time left footed thunderbolt leaving keeper Vito Mannone clutching at air. “Just when you were thinking about getting more quality on the football to hurt them, we conceded a poor goal. The goals were good, but the belief is the key. At this level, against good sides, to come from a goal down is a big ask. They’ve built that belief during the last six weeks with their performances. I couldn’t see Reading scoring, and we didn’t particularly trouble their goalkeeper either. I’m really pleased for George Saville, he deserved his goals. “Cruel game. It’s very disappointing. You’re hoping to maintain 1-0 lead and that they’re going to play even more direct, if it’s possible. Last season we sometimes had that bit of extra luck maybe more than we have now. Most of the time if that ball falls in the box it works against us. But you need to make your own luck. The match had seen the away side dominate the game with two thirds of the possession however you have to do something with the ball when you’ve got it and Reading failed in that regard. Too many cross field balls meant Reading were going nowhere fast in the centre of the pitch. In fact Millwall were better value in the first half. The Royals also appeared devoid of flair and direction when they did attempt to make inroads against a stubborn Millwall back line. A crowd of 10,399 saw the London club shoot up to 12th position and Reading stay where they were at the beginning of the evening in 18th place. A Reading win would have seen them leapfrog Millwall into 14th place. 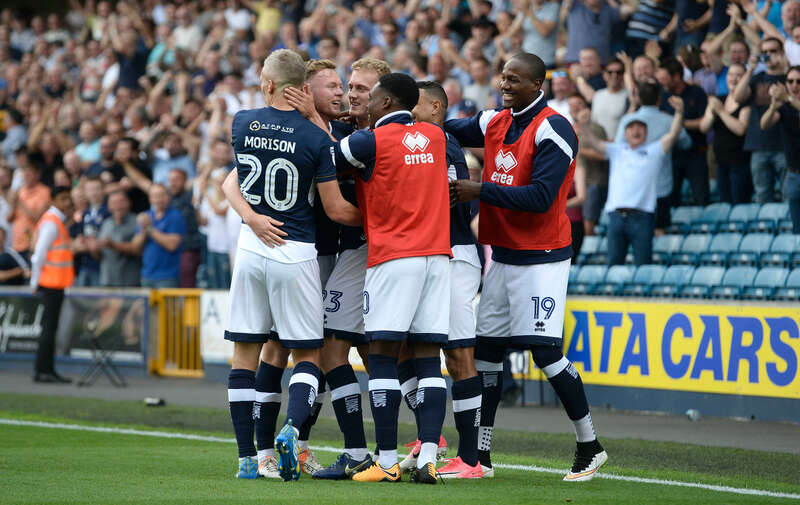 Millwall’s next game is on Saturday when they will entertain a struggling Barnsley at the New Den with the knowledge that a win could put them into the top 10.